Leonard Toenjes, CAE, president of The Associated General Contractors (AGC) of Missouri, addresses attendees. 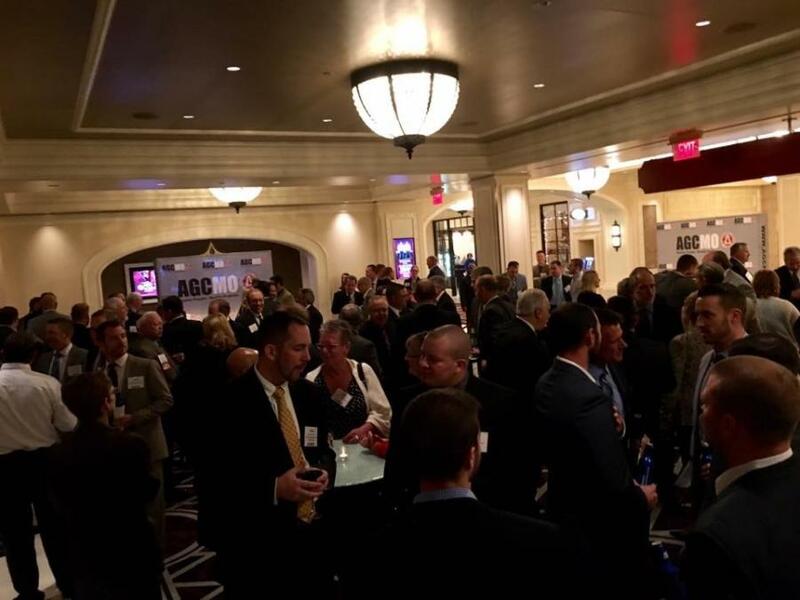 The Associated General Contractors (AGC) of Missouri announced the winners of its 2016 construction industry awards on Nov. 10 at its gala event at the River City Casino & Hotel. 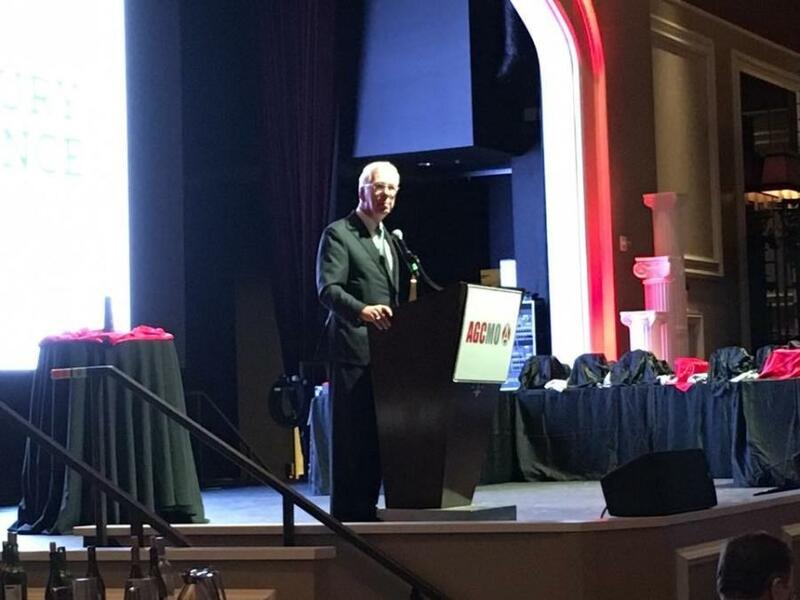 The Construction Awards Gala featured the 19th Annual Construction Keystone Awards, which highlight the creativity and talents of Missouri's construction industry. 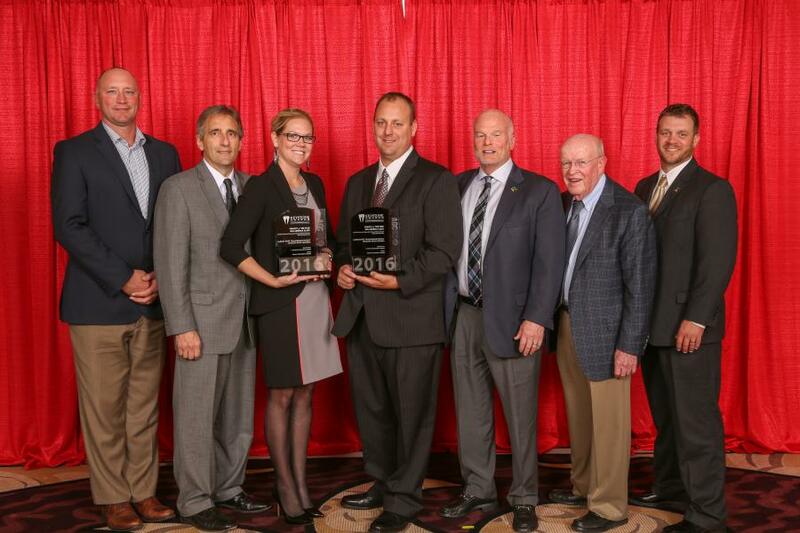 This year also marks the sixth time the AGC of Missouri has named first place specialty contractors in 12 disciplines along with the coveted Specialty Contractor of the Year award. The 19th Annual Keystone Awards were presented to 10 contractors chosen from a group of 27 finalists covering a broad spectrum of project types, including hospitals, educational buildings, manufacturing facilities, treatment plants, railyards and retail. The awards ceremony also honored the owners of the projects in this elite group. The Construction Keystone Awards are not awarded based upon a project's beauty. Instead, the Keystone Awards recognize a contractor's success in achieving solutions during construction for challenges faced on a project. The awards are a glowing recognition of construction professionals whose skill, teamwork and spirit of innovation make a lasting contribution to a community by building the facilities that support and enhance the quality of life. Safety performance and workforce diversity also are essential components of overall performance. • icon Mechanical Construction & Engineering for BJC-Washington University Medical School Campus Renewal Project-Penthouse, St. Louis, Mo. • S. M. Wilson & Co. for IKEA St. Louis, St. Louis, Mo. • L. Keeley Construction Company for the Illinois River Transmission Project-Mississippi River Cross, Palmyra, Mo., to Quincy, Ill.
• Concrete Strategies LLC for Railroad Depot Grand Staircase, Poplar Bluff, Mo. • Guarantee Electrical Company for William H. Danforth Wing of the Donald Danforth Plant Science Center, St. Louis, Mo. • Guarantee Electrical Company for December 2015 Flood Mitigation for Metropolitan St. Louis Sewer District, Fenton, Mo. • PayneCrest Electric Inc. for Flint Creek Environmental Retrofit, Gentry, Ark. • ISC Contracting Inc. for Varsity Tutors LLC Corporate Headquarters, St. Louis, Mo. • Herzog/Reyes, a Joint Venture for Pier E Container Yard / Intermodal Railyard, Phase I, Long Beach, Calif. The 2016 Keystone Heritage Award was presented to the Bagnell Dam at the Lake of the Ozarks. Since its first presentation in 1997, the Heritage Award's purpose is to recognize a project of significance and ongoing importance that was built prior to the inception of the Keystone Awards. If ever there was a project that exemplified the elements of a Keystone Award long before the award criteria was even developed, it is the Bagnell Dam. This construction project — virtually the only major construction project in the nation during the Great Depression — created the economic engine known to us as Lake of the Ozarks and continues to provide power for Missourians nearly 90 years later. The specialty contractor receiving the most votes by general contractors also was presented the Specialty Contractor of the Year award by the AGC of Missouri. This distinction was awarded to T. J. Wies Contracting Inc.